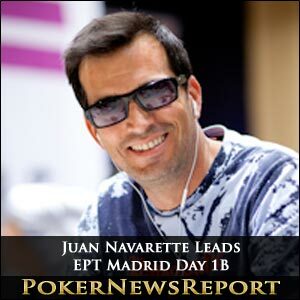 Juan Navarette – a relative newby in the world of live poker – stormed into the lead of the PokerStars EPT Main Event in Madrid last night to head a field which contains some of the biggest names in European Poker – plus a few visitors from over the pond. A set-over-set win against Eli Elezra and victory in a Kings v Queens race against Steve O’Dwyer saw Navarette bag up 173,200 to give him a narrow lead ahead of Ilan Boujenah. After a very quiet Day 1A – attributed to the Anniversary Sunday Million game the night before – 352 players rolled through the doors of the Casino Gran Madrid. An overfill room was needed and extra dealers drafted in so that everyone could get a seat, but the tournament got off as scheduled and played for eight full one-hour levels. Many of the leading PokerStars pros were in attendance, including some who, with one EPT title under their belt, are looking to become the first ever player to win two EPT Main Events – a feat never yet achieved in eight seasons of competition. One previous EPT Main Event winner who almost did not get a game at all was Rupert Elder. The 2011 EPT San Remo winner was driving Melanie Weisner to the casino when the pair got lost among the many, many back streets of Madrid. Eventually they found the casino just in time to take their seats, with both progressing comfortably through to Day 2. Their they will be joined by previous EPT winners Kevin MacPhee, David Kitai, Toby Lewis, Jake Cody and the very impressive Nicholas Levi – who bagged up 150,300 chips, just 30 BBs behind the tournament leader. 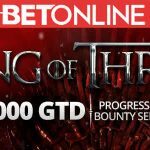 David Kitai has to face David Vamplew and Javier “El_Cañonero” Dominguez on Table 25, while Kevin MacPhee has been drawn against the winner of the Partouche Poker Tour Heads- Up Event, Jacob Rasmussen. First goal for many of the remaining 283 players will be to get into the 72 player bubble. It is unlikely to happen today but, after the ferocity of the last two days poker – you never can tell!